The picturesque island of Koh Kood can be found in the west of Thailand close to the Cambodian border. This island receives less tourists than the islands in the south of Thailand and is a great place to relax and unwind for a while. It is popular with families as well as backpackers who are looking for a change of pace. Here are some of the things that are waiting to be discovered by visitors to Koh Kood. A number of pristine sandy beaches can be found on the west coast of Koh Kood. Bang Bao Bay is a great place to hangout as the water here is particularly cool and calm. In between soaking up the sun on the beach visitors can cool down in the crystal clear water here and grab a snack at one of the resorts or bars that line the beach. This is one of the most popular activities among visitors to Koh Kood. The waters that surround the island are home to a wide range of colourful fish and other types of marine creatures such as stingrays, barracudas and seahorses. Several dive companies on Koh Kood offer scuba diving trips and some of the best dive sites on the island can be found around Hin Jedi, Ao Tum, Bang Bao and Clong Hin. Visitors will want to make sure they tear themselves away from the beach for a few hours to visit the island’s stunning waterfalls. Klong Chao Waterfall is the largest on Koh Kood and features a large pool where visitors can swim to cool down after hiking through the jungle to reach the waterfall. 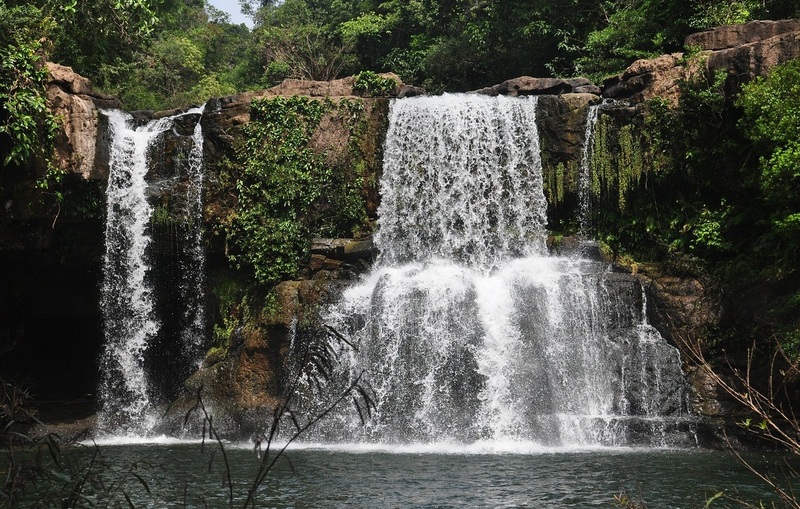 Klong Yai Ki Waterfall is another pretty cascade of water that can be found in the northwest of the island. A mangrove lined estuary can be found close to Klong Chao Waterfall and provides a scenic spot to try your hand at kayaking. Kayaks can be rented cheaply from a number of hotels and guesthouses in the area, while people who are new to kayaking can also get the most out of the experience by joining a group. The water here tends to be very calm and clear and this is a great place to try kayaking for the first time while soaking up the enchanting scenery. The pace of life is much more relaxed on Koh Kood. Most places tend to shut at around 22:00, giving visitors the excuse to have an early night. However, there are plenty of great beach bars to be found lining the main beaches where visitors can sit and sip a cocktail or two while watching the sunset. People who want to make sure they enjoy a stress free trip to Koh Kood should make sure they arrange travel insurance cover before leaving home. This is particularly essential if you plan to hire a motorbike to explore the island or take part in adventure sports. Oh my what a gorgeous waterfall. Thailand needs to be on my to-see list! Hi Cinda! Yes it does! Thank you so much for always keeping in touch and reading my posts! Cheers!